For the first weekend in a while, and the last for some time, we had zero plans! 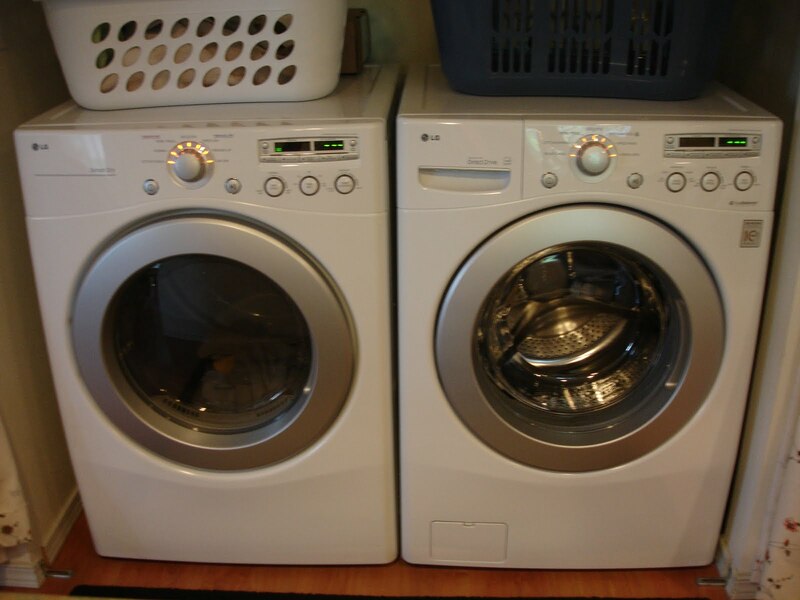 It was the perfect weekend to get to know our new washer and dryer, pictured below. Verdict is…so far I love them! The washer takes a bit longer, but spins the cloths so well that they are almost dry when they go into the dyer, which means it only takes about 30 minutes to dry a load of laundry. Plus, they make very little noise! We spent some time Saturday running around getting a few things for the trailer and our camping trip this coming weekend. Sunday I spent the whole day cooking chicken for African Chicken Peanut soup. It was all made from scratch…the only thing I didn’t do was butcher the chicken myself. 🙂 I loved using my own home-made chicken stock…made the soup taste so much better! We watched the Lost Finale last night. Our whole day was geared towards being ready to sit down and watch starting at 7pm. We have watched every episode at least once, in some cases twice. What a great finale. Did it answer all the questions…no, did it answer enough of them…I think so. I love that they were all reunited at the end and that it leaves room for personal interpretation. I am sad it is over as it is one of the very few shows Mark and I watch together and I fell in love with some of the characters. I’m sort of glad all the wondering from week to week is over though. I have never spent so much time thinking about a TV show before! Totally random tip of the day: Use dry shampoo to create texture and volume! I read in Allure that you can use dry shampoo to create that beachy bed-head texture and/or to add volume to your every day style. Style as usual then flip head upside down and spray on roots. 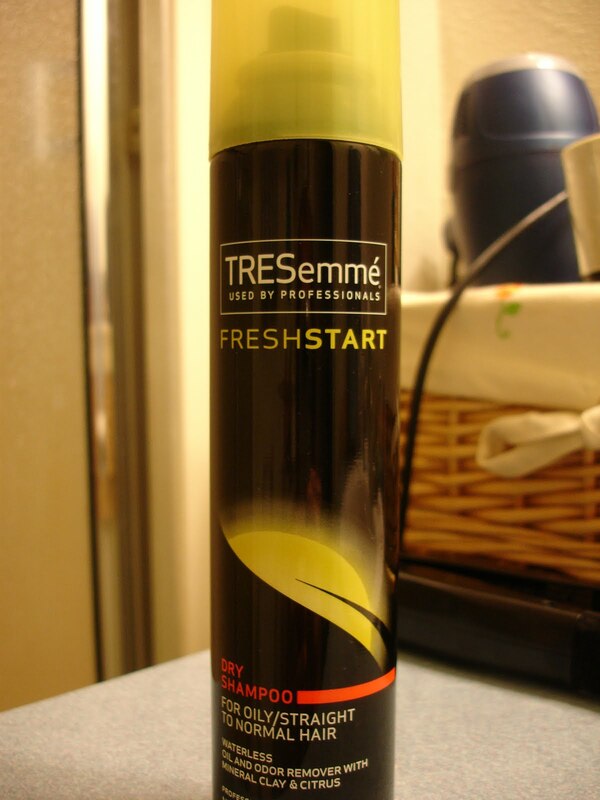 This obviously only works if you are using an aerosol dry shampoo (the one I use is shown below). If you are using a powder dry shampoo I recommend putting some on your finger and then rubbing into the roots of your hair. (Just be careful as dry shampoo can look like dandruff if you use too much). I have only been using dry shampoo while camping, but I tried it this morning and it really does work! Love it! < Previous New Washer and Dryer!